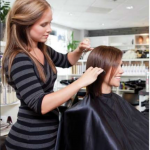 "The John Amico School of Hair Design has endeavored to produce quality cosmetologists who can meet the present and future demands of the beauty industry. John Amico School of Hair Design prepares its students to pass their state licensure exam. We are "transforming lives through quality education," thereby equipping our students, future salon professionals, with the tools needed to become successful in their communities."